Robert Millar is by far the greatest climber Britain has ever produced and proved it just a year before the fateful 1985 Vuelta with victory in the KOM competition in the Tour de France, securing 4th place on the GC in the process. He also achieved the highest ever finish in the Giro by a Briton, with 2nd in 1987, securing another KOM jersey there. But when Millar punctured on the second of the day’s three difficult climbs, Delgado attacked with Kelme’s Jose Recio. Somehow the pair managed to build a lead of over 7 minutes, unbeknownst to Millar. In the days before ear-piece radios, riders had to rely on their team managers, driving in cars behind, to inform them of the gaps. Millar’s Peugeot team directeur – Roland Berland, a Frenchman – states that he was never given enough information over the radio, and that when it did come it was only in Spanish. But in yet another version, Dutch journalist Jeff Van Looy says disagrees with Mendiburu. 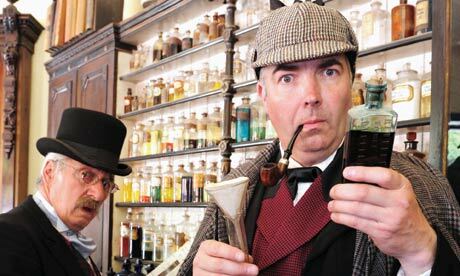 “In those days I can remember the time checks were irregular. How could they not be, given that the race had split up completely over the last climb? There were little groups of riders in twos and threes all over the place. And they didn’t let the cars through to talk”. Whatever happened it is clear that at the very least Millar had no idea that Delgado was riding into the leader’s jersey. Watching the youtube footage, at 2 minutes 40 seconds you can see Millar relaxed and talking to the other riders around him – he clearly has no idea that Delgado and Recio are flying away up ahead. Millar was, in fact, watching the man in second, Rodriguez. When Millar finally did hear that the gap was at 7 minutes, there was only 20 kilometres left of the stage. Is it possible that Millar alone wasn’t receiving time checks whilst the others were? Another rider alongside Millar was Spaniard Ruiz Cabestany, only a minute behind Millar on the GC. It seems that somehow he was receiving time checks, as he later said that he knew all along that Millar was losing the Vuelta but that he been ordered to say nothing to the Scot. And just as Millar was receiving no information, Delgado and Reico were given time updates constantly, encouraging them to keep driving hard. 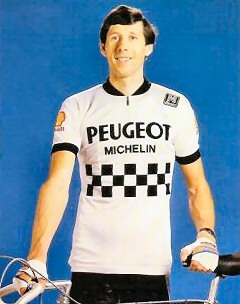 There is also a question about Millar’s Peugeot teammates, none of whom appeared to help the race leader. Some have suggested that this was in part due to jealousy. Millar was not an easy man to get along with and as something of a lone wolf he often irritated others with his eccentric ways. He was also not French – there have been rumors over the years that the French riders did not want to see a foreign rider, and certainly not a haughty one, win the race and steal the glory. Whether true or not, we may never now, but what is certain that, apart from some good work to the foot of the last climb by Pascal Simon, none of his teammates were there to help pull Delgado back. The situation on the road as the race topped the last mountain was Delgado and Recio in the lead, with a small group containing Sean Kelly behind them, then Millar and Rodriguez’s group. Kelly later said that despite the fact that he was going full gas with a strong group of 5, they could not even take a little time off Delgado and Reico. In fact, they lost a further 2 minutes on the pair by the end. The Millar group was now about 20 riders strong, with 20km to go, with many Spanish in the group. All of them left Millar to chase alone at the front. Rodriguez, only 10 secs behind Millar on the GC, was seeing his second place go too, but he offered to do no work. 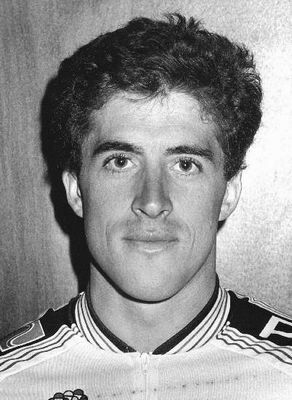 Some of the Spanish media had been unkind to Millar, commenting on his appearance ( he had an earring at a time when they were very uncommon), and Spanish cycling was desperate for a homegrown hero. Recio claims that “I could have won that day without any help but my directeur sportif made me wait for Delgado.” Delgado, a fierce descender and a very good climber, finally had won the Vuelta – but could he really have won without all the circumstances coming together to help him? By ‘agreements’ Millar means that he should have offered other riders and teams money to ride for him, common practise in professional cycling. Often in local races in Europe riders in a breakaway will bargain over the last few kilometres to ‘buy’ the victory. Millar and Brland’s problem was that they left it too late, and that most in the peloton wanted a Spaniard to win. The journalisy Van Looy says that “Nobody sat down at the beginning of the stage and said, ‘Right, today we do Millar.’ It was a combination of mistakes made by his directeur sportif and unfavourable circumstances. You can find that combination any day in cycling, even though it doesn’t normally have such a dramatic effect”. Millar blames Berland. Berland says that Millar was ‘betrayed’, but won’t say by who. Millar himself states that “The other pros can’t make you win a race, but they can help you to lose one. Delgado didn’t win. I lost. This was mainly thanks to circumstances which shouldn’t have happened. I didn’t begrudge Delgado at all because he wasn’t to blame, but the other Spaniards didn’t get gold stars in my notebook”. Berland was really pissed off with the Spanish teams the Spanish fans and the race organizers at that point… There had been a lot of tension in that Vuelta right from the beginning… The French journalists from l’Equipe would tell stories of ” blatant Spanish unsportmanship” on an almost daily basis. Berland made the whole Peugeot team ride at the start of that ill-fated stage to try and win the team prize… He wanted Peugeot to win the team prize as the cherry on the cake… Of course the Peugeot guys were burnt and nowhere to be found when Robert needed them badly at the end of the stage save for Simon and Pensec who almost managed to rejoin the Millar group but found themselves stopped at a railway crossing… Of course they waited there a couple of miunutes for a train that never came. Millar might have not been the most genial character ever in the history of Peugeot but it’s a fallacy to write his French teammates let him down or didn’t want him to win. Millar’s was Pensec’s cycling hero and Pascal Simon’s brother in law… They were absolutely devastated when they realized Robert had lost the jersey and the way he had lost it… And L’Equipe journalist Philippe Brunel reported how Duclos-Lassalle riding in the “autobus”, was totally disgusted when having made it to the finish he learned about the race outcome… Berland refused to take responsibility and would rather whine endlessly about the Vuelta being such a “lousy race” -well since he knew all along the Vuelta was such a lousy race, maybe he should have been a little more cautious when dealing with team tactics… A little more cautius when it came to PR too: Millar and Kelly got on well, the Irishman would have probably agreed to help Robert stay out of trouble but a couple of days before a rather bumptious Berland had publicly scorned Kelly’s iconic boss Jean De Gribaldy in a hotel lobby “by the way why are you still in the race Jean??? Your Vuelta’s been over for quite some time…” Kelly wasn’t going to help Millar after this kind of sarcasm. When Berland says Robert was betrayed he’s blaming Kelly. Trouble is that Vuelta was hard and wild, real wild, and the Peugeot team were simply nowhere near strong enough to control such furious racing -Robert found himself on his own most of the time. In the end Millar lost the Vuelta because of a combination of bad luck, inane team management and, yes, gross “Spanish unsportsmanship”. And yes, there was genuine affection for Millar at Peugeot, he might have been seen as a bit of an outcast but everybody wanted him to win. Millar did fall out with some Peugeot guys but that happened later, during the Tour de France 1985, when the team fell apart and he had decided to Panasonic for the next season anyway. 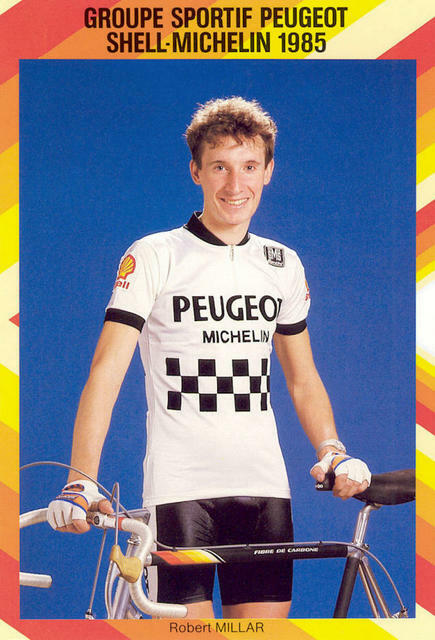 Obviously everybody eventually cooled down and patched things up at some point: when Millar signed back to Peugeot (or rather Z-Peugeot) in 1989 he said it felt like “going back home”. Great comment there Matthieu and very illuminating! As I wrote about the rumors about French jealousy, I did not know enough about that, so said ‘whether true or not.” Personally I liked Millar, I liked his quirkiness. Thanks for the insight, much appreciated. This entrance needs a second part. Dated one year later. When Alvaro Pino won Vuelta España 1986. Last stage (time trial in Jerez de la Frontera) had a lot of “external interferences” to help Pino such a helicopter helping him to speed up. 80´s were “different” in Spain and Italy as well. Very bizarre. Hi David, didn’t know about that part of the cycling history. Where can I find more information regarding these “external interferences” which help Alvaro Pino winning the 1986 Vuelta España? Not being sarcastic or cynical here, I am interested an could not find any information using Google. Thank you and also Crankpunk for the great article.